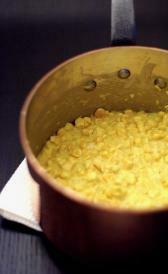 Junior creamed corn: In this food there are some nutrients that are found in low quantity, for example protein, total lipid and total sugars. Strained peas: Strained peas is high lutein+zeazanthin. On the other hand. is low in total lipid, ash and total sugars. Toddler dices peas: This food is low in total lipid, ash and calcium but Toddler dices peas has lutein+zeazanthin in high quantity. Strained creamed spinachs: This food has a low quantiti of food energy, total lipid and iron but has a high quantity of vitamin a, beta-carotene and lutein+zeazanthin. Strained peaches: This food is low in protein, total lipid and calcium but Strained peaches has vitamin c in high quantity. Junior peaches: This food has a low quantiti of protein, total lipid and calcium but has a high quantity of vitamin c.
Strained pears: In this food there are some nutrients that are found in low quantity, for example food energy, protein and total lipid. Junior pears: In food has a low quantity of food energy, protein and total lipid. Toddler dices pears: In this food there are some nutrients that are found in low quantity, for example protein, total lipid and ash. Toddler dices peaches: Toddler dices peaches is low in protein, total lipid and ash. 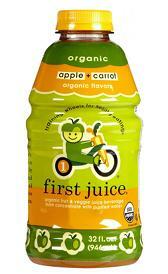 Apple juice: This food is low in protein, total lipid and ash but Apple juice has vitamin c in high quantity. Apple-banana juice: Apple-banana juice is low in protein, total lipid and ash. Apple and peach juice: High in vitamin c and low in food energy, protein and total lipid. Apple-cranberry juice: In food has a low quantity of protein, total lipid and ash. Apple and plum juice: This food is low in protein, total lipid and ash but Apple and plum juice has vitamin c in high quantity. Apple and prune juice: This food has a low quantiti of protein, total lipid and ash but has a high quantity of vitamin c.
Orange juice: High in vitamin c and low in food energy, protein and total lipid. 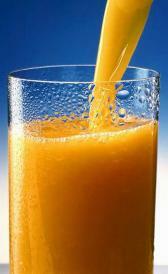 Orange and apple juice: Orange and apple juice is high vitamin c. On the other hand. is low in food energy, protein and total lipid. Orange and apricot juice: This food has a low quantiti of protein, total lipid and ash but has a high quantity of vitamin c.
Orange and banana juice: Orange and banana juice is low in protein, total lipid and ash. Prune and orange juice: This food is low in protein, total lipid and ash but Prune and orange juice has vitamin c in high quantity. Mixed fruit juice: This food has a low quantiti of protein, total lipid and ash but has a high quantity of vitamin c.
Dry barley cereal: Dry barley cereal is high carbohydrate, calcium and iron. On the other hand. is low in water, sodium and manganese. Dry mixed cereal: Dry mixed cereal is high carbohydrate, calcium and iron. On the other hand. is low in water, total sugars and sodium. Dry oatmeal cereal: Dry oatmeal cereal is high carbohydrate, calcium and iron. On the other hand. is low in water, sodium and vitamin c.
Dry rice cereal: This food is low in water, total dietary fiber and total sugars but Dry rice cereal has carbohydrate, calcium and iron in high quantity. Strained cereal babyfood with eggs: In food has a low quantity of total lipid, total dietary fiber and total sugars. Fruit baby cookie: This food is low in water, sodium and copper but Fruit baby cookie has food energy, carbohydrate and total sugars in high quantity. Vegetable crackers: Vegetable crackers is high food energy, carbohydrate and vitamin c. On the other hand. is low in water, vitamin b12 and retinol. Cookies: Cookies is high food energy, carbohydrate and total sugars. On the other hand. is low in water, total dietary fiber and vitamin b12.